Looking for a fun way to practice writing in French? 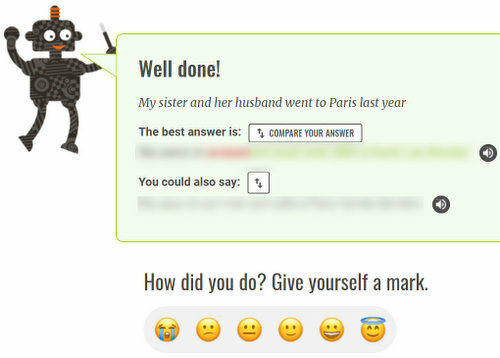 You’ll love the self-scoring translation exercises on my co-branded site, Progress with Lawless French. These challenges are available exclusively to PwLF and Kwiziq subscribers. Next, you’re provided with the correct answer and a scorecard. Rate your translation from 0 to 5, then move onto the next phrase. At the end, your scores are totaled, and you’re provided with the list of grammar topics covered in the challenge so that you can brush up on anything that you had trouble with during the exercise. 1. If you already have a Premium PwLF account, click “unsubscribe or modify your communications preferences” at the end of any PwLF / Kwiziq email and put a check next to “system communications.” Then keep an eye on your email every Friday for the Weekend Workout (which also includes dictées). 2. If you have a free PwLF account, upgrade to any of our Premium packages and opt into "system communications" as explained above. 3. If you don’t have a PwLF account, you’re in for a pleasant surprise, because writing challenges are just the tip of the iceberg. Progress with Lawless French is powered by Kwiziq, a state-of-the-art program that can supercharge your French learning at any level. You start by taking a comprehensive proficiency test and then the A.I. designs your personalized StudyPlan, updating it every time you take a kwiz so that you’re always improving and moving forward. Find out more about this unique software in my short video. What’s the difference between Lawless French, Progress with Lawless French, and Kwiziq? 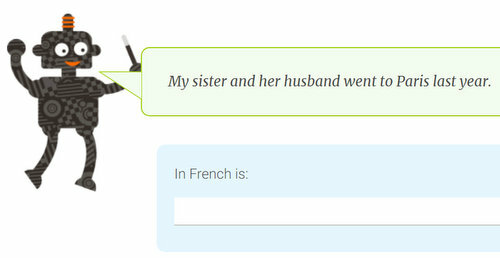 Lawless French is the site you’re on right now (www.lawlessfrench.com). This is the 100% free site on which I write lessons, create practice exercises, and share everything I know about French. Progress with Lawless French (progress.lawlessfrench.com) is my co-branded site, which offers mini lessons and a personalized study plan. There’s a free version (limited to 10 kwizzes / month) and a paid, unlimited version with additional features. Kwiziq is the company that powers PwLF. You can track your students’ progress in PwLF by creating a free StudyGroup.